After a school video she produced goes viral, sixteen-year-old Sloane is given the biggest opportunity of her life – a chance for a film school scholarship. She has less than two weeks to produce a second video, something with depth, and she’s determined to do it. The trouble is she has to work with Isaac Alexander, an irresponsible charmer with whom she shares an uneasy history. On the heels of this good news/bad news opportunity, Sloane finds a bald spot on her head. The pink patch, no bigger than a quarter, shouldn't be there. Neither should the bald spots that follow. Horror gives way to devastation when Sloane is diagnosed with alopecia areata. The autoimmune disease has no cause, no cure and no definitive outcome. The spots might grow over tomorrow or they might be there for life. She could become completely bald. No one knows. Determined to produce her video and keep her condition secret, Sloane finds herself turning into the kind of person she has always mocked: someone obsessed with their looks. She’s also forced to confront a painful truth: she is as judgmental as anyone else…but she saves the harshest judgments for herself. A beautiful and compelling contemporary tale of looking beyond the superficial! My choice tagline for THE ART OF GETTING STARED AT: Never judge a book by its cover! I loved this story. Langston has does a wonderful job of telling Sloane's journey of self-discovery with a realistic point-of-view that many teenagers will be able to relate to. Sloane is a terrific character who wants to be judged for her artistic ability and not by her looks, she's never cared to put much effort into her looks- until she discovers that she has begun to lose her hair. I liked that she continues to keep her "disease" in perspective in the sense that things could be much worse- luckily it's not terminal. With that being said, I think many will agree that high school is a battlefield in itself, but add the element of losing your hair and you can only imagine the true bravery it takes Sloane to embrace herself as a whole- and I believe she truly comes out a stronger person having faced these struggles. Luckily she's got a support system in her close friends, Lexi and Harper and her close family. I really enjoyed the familial element to Langston's novel, and the relationship that evolves between Sloane and Kim- which also brings me back to my choice of tagline for this novel, never judge a book by its cover, I think both these two characters can learn a thing or two from this. Breanne and Matt were made for each other and I had a hard time finding any likeable qualities in either character. I'm still baffled that Sloane was friends and dated Matt for so long! You need to read the story yourself to truly understand :) haha. Isaac has book boyfriend material written all over him! Although I'm not a fan of dreads, Isaac has everything else going for him, haha. He's the resident celebrity with a smooth voice and handsome face. His charms seem to work on every girl, including Sloane. I really enjoyed the build-up between these two and I absolutely loved Isaac's response when he finally finds out Sloane's secret. There's not much action in this novel, as it is very much character driven, but Langston has done a fabulous job writing a unique cast, each with unique and realistic personalities. 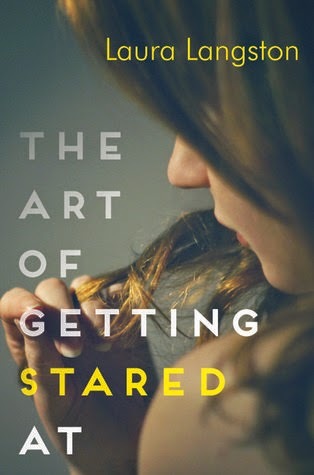 If you enjoy contemporary YA then I definitely recommend you pick up THE ART OF GETTING STARED AT, I thoroughly enjoyed this one. 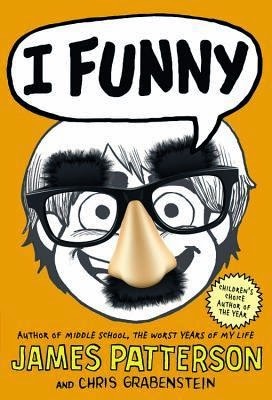 "I Funny" is a story about a boy named Jamie Grimm. He was in an accident that left him paralyzed from the waist down and in a wheelchair. But he doesn't sulk just because he cant do everything that everyone else can. He just keeps telling jokes and keeps a smile on his face. But it isn't always that easy. He lives with a family that doesn't smile, A.K.A. The Smilies. He also lives in the garage, and also lives under the same roof as the torturous bully at his school. But he always goes to his uncle's restaurant, "Frankie's Good Eats By The Sea," where he is famous for yo-yoing and cooking... one hand for each. One thing that keeps him going is telling jokes to people who do smile. The customers at the restaurant. One Russian customer always tells him "You Funny." This is what convinces him to go to a contest for a funny kids. Follow Jamie in his travels to contest to see who really is the funniest kid in Long Island. I give this book a 10/10 because it was funny and sad. I recommend this book for people who like books by James Patterson, or funny books with pictures.